Get to know TBHC Delivers. 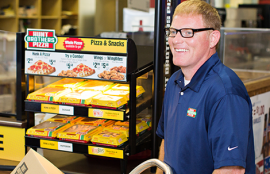 TBHC Delivers helps convenience store owners grow their businesses through high-quality, turn-key food service programs. 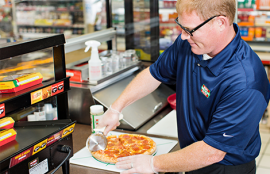 Our company was founded around a single entrepreneurial idea: helping convenience store owners grow their businesses through high-quality, turn-key food service programs. Founder Britt Hunt built TBHC Delivers from the ground up, going from c-store to c-store delivering his family’s pizza products in the 1990s. Britt soon realized that each c-store visit was about more than filling pizza orders. Every delivery created a new opportunity to provide a valuable service that stretched far beyond the products on his truck; every weekly contact held a new chance to help his customers succeed in their own business ventures, too. 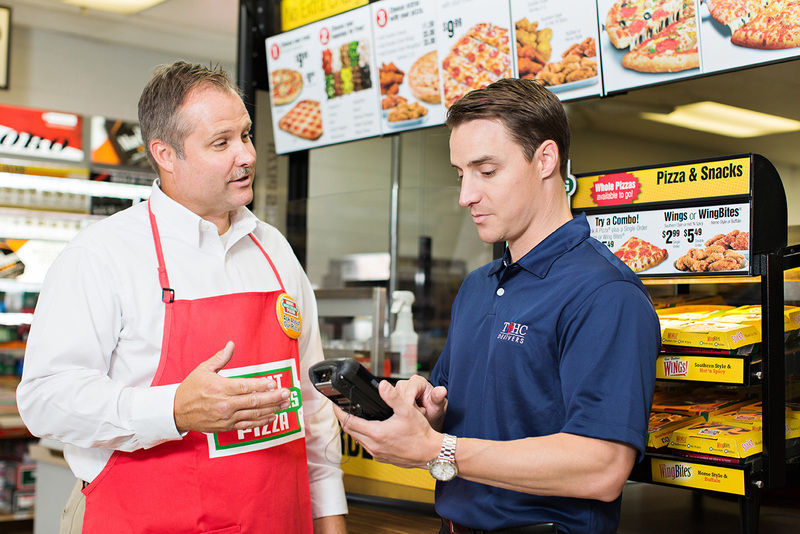 Building upon the guiding principles of his family’s Hunt Brothers® Pizza enterprise, Britt’s independent distribution company was born. What began as a simple c-store delivery route has grown into a full-service direct distribution organization providing comprehensive sales training, superior service and outstanding food service products to more than 3,000 convenience stores spanning 14 states in the Southern and Midwest U.S.. TBHC Delivers remains the largest single distributor of Hunt Brothers Pizza, the largest independent brand of hot, fresh-baked pizza in the convenience store market with over 7,000 locations in 28 states.